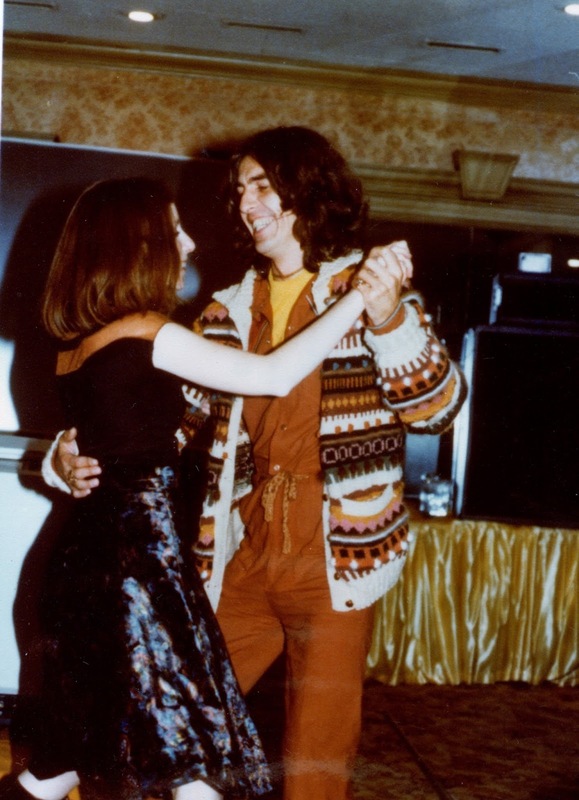 In the story I have posted here before, we learn that while playing the song "This Song," at the party held to celebrate George signing with Warner Brothers, George invited everyone to dance. However, George and his partner were the only ones dancing. I always assumed in looking at the black and white photos that his date for Olivia. However---I am not totally sure now seeing the color photo. It is hard to tell by just a profile. Olivia fans---what are your thoughts? Good! I just needed a 2nd opinion. Not her... Hair too short and the wrong color. Just a guest at the party.